BMW 1 Series M Coupe could be going CSL? I think I’ve seen so many teasers, spyshots and press releases in relation to the BMW 1 Series M Coupe that I’m almost bored about even before it was released. Now though, we have something to make them interesting once again. In truth, this isn’t from the Bavarians but it’s so tempting it’s worth a second look. 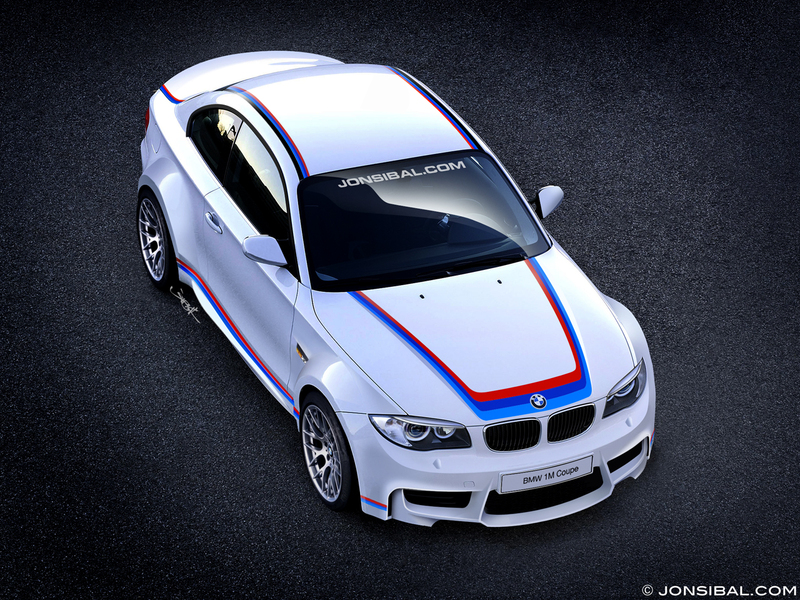 According to car designer Jon Sibal the E82 BMW 1 M Coupe may receive a very hot version. The BMW 1 Series M Coupe is due to be as hot as if not hotter than the BMW M3. But what Jon Sibal has in mind is a BMW 1 Series M Coupe lightweight version. A CSL version or even a GTS version of the small M power bimmer would pretty much be the absolute best that modern automotive principles can offer. For now this is no more than an idea but I do hope that BMW actually create this. Until this is to happen, the BMW 1 Series M Coupe will be launched sometime this month sporting a massive 335 horsepower. All that grunt will be going to the rear wheels via a manual transmission and it will probably be the best driver’s cars out there.